Nestled between the continent's two giants, Brazil and Argentina, Uruguay is the second smallest country in South America. More than half of the nation's population of three million reside in the capital of Montevideo, located at Uruguay's southernmost point on the Rio de la Plata. (River Plate). Crown Princess entered the river in the wee hours of the morning, arriving at the port at 07:00 AM. 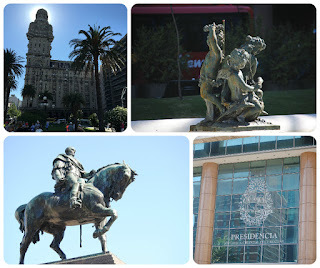 Plaza Independencia (Spanish for Independence Square) is the name of Montevideo's most important plaza. 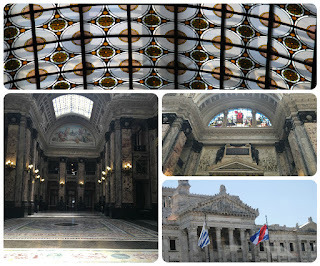 This was our first stop during our city tour of Montevideo. The Artigas Mausoleum, a monument to Uruguayan hero José Artigas, is the focal point of the plaza. Many important buildings, such as the Solís Theatre and the workplaces of the President of Uruguay (both the Estévez Palace and the Executive Tower) are located by this square. The sun was in the perfect location to produce a halo around the top of Salvo Palace. 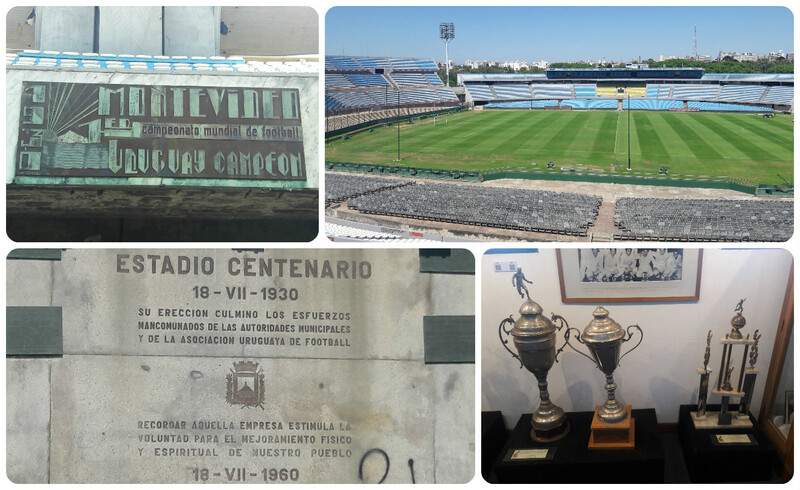 Montevideo's Soccer Museum is located in Centenario Soccer Stadium. 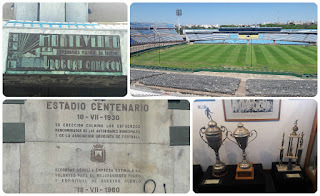 The stadium was built between 1929 and 1930 to host the 1930 FIFA World Cup, as well as to commemorate the centennial of Uruguay's first constitution. It is listed by FIFA as one of the football world's classic stadiums. On July 18, 1983, it was declared by FIFA as the only historical monument of World Football, the only building of its kind (worldwide). During our second stop of the tour, we viewed exhibits covering Uruguay's Olympic successes and its two World Cup Soccer Championships. 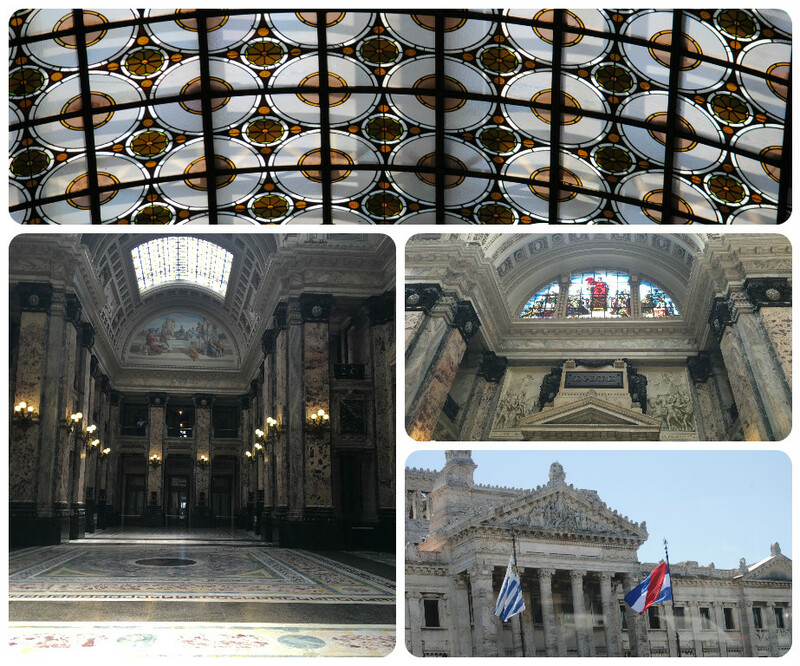 The next stop on our excursion was a guided tour through the graceful Legislative Palace, the site where the Uruguayan parliament meets, is considered one of the three most beautiful legislative buildings in the world. The building's interior is covered with marble. Our excursion concluded with a scenic drive along the seaside La Rambla to take in the beauty of Montevideo's breathtaking beaches prior to returning to our ship in the harbor. 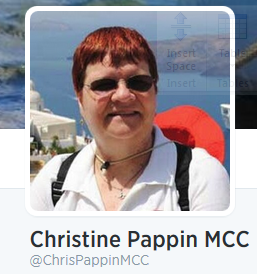 If you are just joining our South America journey, you may not know that I LOVE Penguins !! een on two excursions, this cruise, where we saw penguins in their natural habitat. This excursion topped the other two combined. 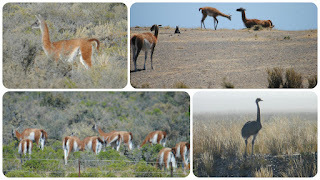 Day 11 we arrived in Puerto Madryn, Argentina early in the morning. The meeting time for our excursion was 7:15 AM, which meant we had to get up really early to shower and have breakfast. One good thing was that this wasn't a tender port, so additional time didn't have to be allowed for that. 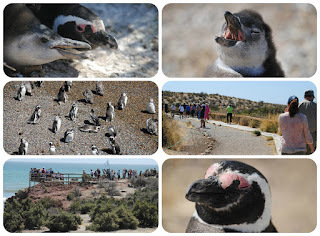 Our destination was the Punta Tombo Nature Reserve, two and a half hours away by motorcoach. The distance traveled was 140km from the pier. We made a rest stop about an hour after leaving the ship. Along the way, our guide pointed out some of the wildlife and the bus driver stopped when he could for us to take pictures. We saw, Choiques (large flightless birds), domestic Llamas, Guanacos (related to camels and wild ancestors of domestic Llamas), and armadillos. The last 30km of the trip was on a dirt road. Thousands of Magellanic Penguins return to the shores of the reserve each year. From September through March they spend their time courting, mating, and hatching a brood of chicks. By April, both mature and young penguins are ready to migrate to warmer climates. Just imagine you are with us as we arrive at the reserve. These are the largest species of warm-water penguins. They have a white chin-strap marking, a pink line at their lower jaw, and a black bill. They are a noisy bunch, especially the "babies" who greeted us with squawks and shrieks. 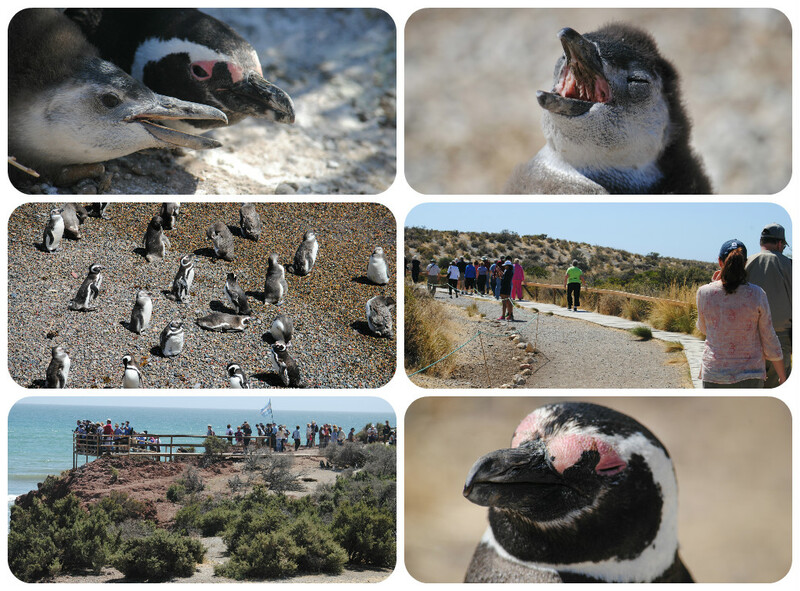 We meandered along the trail stopping to observe and photograph these cute penguins in thier natural habitat. It was quite windy, so we opted to only go about half-way along the trail which was flanked by the sea on one side and the burrows on the other. One could visit the lighthouse to view an exhibit. We decided we'd rather enjoy the ppenguins that look at an exhibit. Our intention was to observe the penguins enjoying themselves for as long as possible. In fact, we were the last ones to return to the ferry. The guide told us we had to leave, otherwise we could have stayed there all day. We highly recommend adding a Southern South America cruise to your bucket list. The season is short (January - March) so you'll probably need to plan it for next year at the earliest. 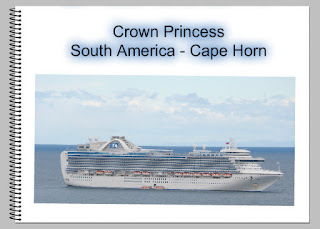 I don't like to do much promotion in our blog, but Princess Cruises has an Anniversary Sale through the end of February which includes itineraries in South America. You might consider booking now to take advantage of the extra onboard spending money. 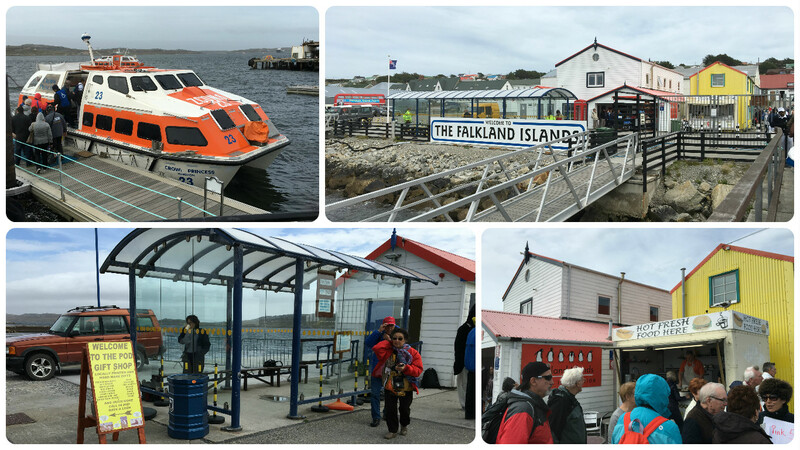 Day 9 we arrived at the capital of the Falklands, Stanley. The British influence is quite evident from the moment you arrive on shore. This was another tender port which meant we needed to add extra time to your plans. Because of unexpected conditions between where we dropped anchor and the pier, the captain altered the schedule such that we arrived at our destination at 6:45 AM, one hour early. The tender ride minutes each way in rough conditions. Passengers on Princess shore excursions were afforded preferential treatment when filling the tender boats. Once again, the meeting point on the ship was Wheelhouse Bar in order to show your tour ticket and be issued a sticker which would serve as tickets for the tender. Times had been adjusted and letters put in cabins. For whatever reason, we didn't get a letter in our cabin, but we had fortunately decided to meet early. The revised meeting time (10:30 AM) was 45 minutes earlier than printed on our tickets. We were fortunate once again as the weather conditions were better than anticipated, which resulted in a 15 minute tender boat ride. Once on shore, we had a chance to look at the gift shop, which was right there, and use the restrooms before boarding a mini-van for the ride to the Bluff Cove Farm. Our driver, Roger, pointed out sites along the way included Boot Hill, where visitors leave their shoes on poles before departing the island, and mind fields, many of which are still to be cleared of mines leftover from the war between Argentina and the United Kingdom in 1982. We arrived at the meeting point just as the 4-wheel-drive vehicles arrived with the previous group of passengers. Each vehicle can take up to four passengers, so Roger divided us into groups and assigned us to drivers. Our vehicle had the two of us plus a video photographer from the ship. This excursion is not for everyone. Shortly after meeting our driver for the ride to the rookery, we went off road. The terrain was quite rough, so the tour is not recommended for anyone with neck or back problems or pregnant. It took about 20 minutes to arrive at the rookery. My quest to see penguins in their natural habitat was satisfied once again. 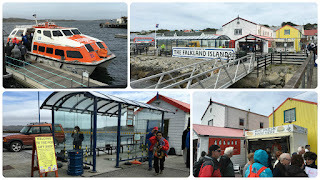 This day we saw King and Gentoo Penguins. There were three areas, which were marked off with white flags, to give the penguins privacy. 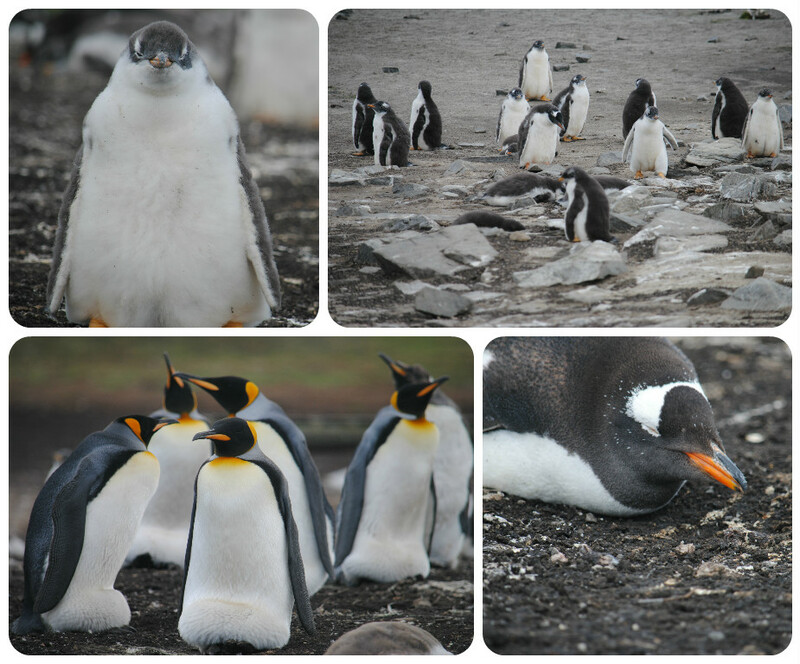 There were primarily Gentoo Penguins but there were also several King Penguins. A couple days earlier some visitors were fortunate enough to witness the birth of a baby King Penguin. Kyli, one of the ship's videographers, captured the baby and mother on video during our trip and plans to include it in the Reflections video. Not only do you get to stroll among the penguins at Bluff Cove, you also get complimentary cakes and hot beverages in the Sea Cabbage Cafe by the sea.There's a small museum and gift shop which is where the drivers pickup for the return off-road journey. Overall this excursion was enjoyable. If you are looking for quantity of penguins, this isn't the excursion to pick, as the best you can expect is around 1000 pairs of penguins. We actually suggest booking at least two penguin excursions in case one gets cancelled so you won't be disappointed. We highly recommend adding a Southern South America cruise to your bucket list. The season is short (January - March) so you'll probably need to plan it for next year at the earliest. I don't like to do much promotion in our blog, but Princess Cruises has an Anniversary Sale through the end of February which includes itineraries in South America. You might consider booking now to take advantage of the extra on board spending money. 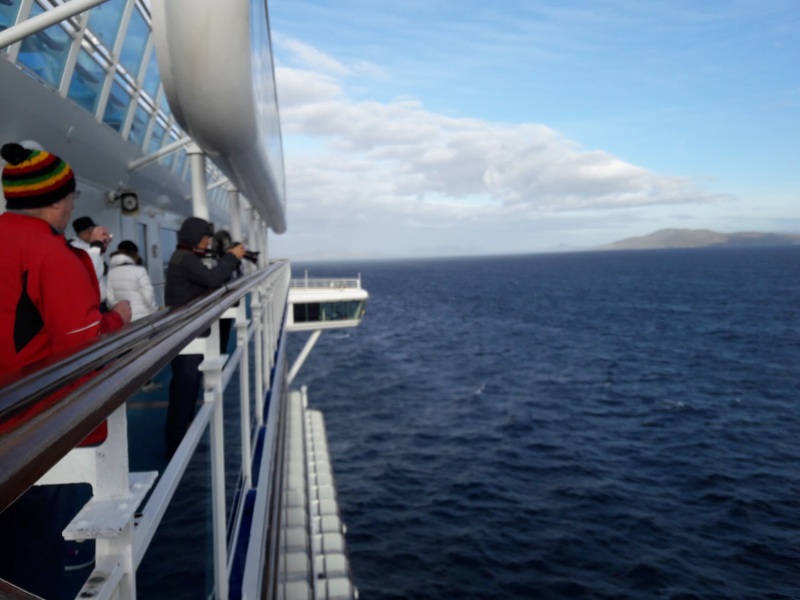 Our scheduled called for Crown Princess arriving at Cape Horn around 6:30 AM on Day 8. Due to the strong winds pinning our ship to the pier in Ushuaia, the 7:30 PM departure was delayed to 12:30 AM or so (not quite sure of exact time since we went to bed). Surprisingly the Captain got on the speaker system about 7:50 AM to announce our approach to Cape Horn in about 10 minutes. He must have had the peddle to the medal after we left Ushuaia. or for this particular destination, port side. For those with balconies on that side, they could stay in their cabins if they wanted and view in comfort. Most people were on deck 15 and higher. We were perched in two different locations on deck 16. There was a chain of mountains on the starboard side as we approached Cape Horn as well, so both sides of the ship did have some gorgeous scenery. The weather cooperated nicely. The winds were calm, the sun was out, no rain, just a chill in the air. As long as you dressed in layers, along with a hood or hat, you would have been warm for the one hour scenic tour. Gloves would be an added comfort if your hands get cold easily. 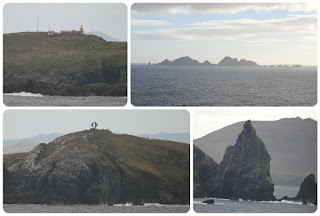 There are three things you want to see on the island of Cape Horn itself: the memorial marker for those that lost their lives sailing around the horn, the naval station house, and lighthouse. There is also a smaller beacon on the point once your round Cape Horn and are on the Atlantic side. Bring your camera(s) including video and enjoy the view. Marvel at those that used this passage way before the Panama Canal was built. 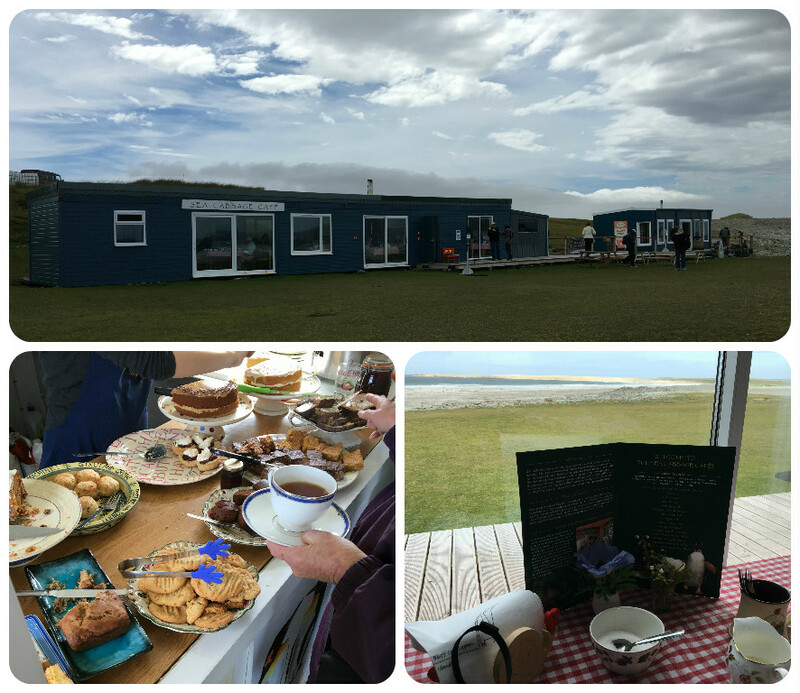 While the winds were calm for us, that is not usually the case, so expect rocky seas when you visit and be happy if you have a calm day.